Amazon Kindle Fire 2 launch set for Sept. 6? Could we see the next Kindle Fire? In a cryptic note sent to members of the media, Amazon extended its hospitality to an airport hangar in Santa Monica, Calif. on Sept. 6 where it may or may not unveil the Kindle Fire 2. 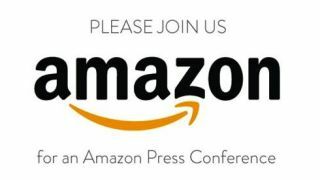 The text on the invitation is scant: "Please join us for an Amazon Press Conference." The just-outside Los Angeles soiree could be for any number of things, but industry insiders anticipate a big announcement to echo through the hangar's halls. Though Amazon is cheekily keeping the details under wraps, the most obvious assumption would be the unveiling of a new generation of Kindle Fire tablets. TechRadar reported back in June that Amazon teased a new 7-inch and an unheard of 10-inch Kindle Fire 2 model, with a source reporting both could see the light of day sometime this summer. The 10-inch tab is reportedly set to run a more powerful, "more competent" quad-core processor while both large-display devices are said to be made of higher-quality materials and sport more ergonomic designs. More's been reported on the 10-incher than 7-inch, and it will reportedly come with a front-facing camera, microUSB ports and HDMI-out jacks. However, the 7-inch tablet could come with a 1200 x 800 resolution screen and both tabs are supposedly slimmer and more akin to the first-gen Apple iPad than current Kindle Fire iterations. TechRadar also published a report that the 7-inch tablet could cost $199, though we didn't have luck tracking down a 10-inch price. While our theories are only conjecture at this point and we really won't know anything for sure until Sept. 6, we wouldn't put it past Amazon to pull the wool over everyone's eyes and deliver something completely out of left field. TechRadar did some investigating last week and discovered that a shell company for Amazon filed papers with the Federal Communications Commission that supposedly outlined a new Kindle Fire 2. We discovered the filings were made by a group called Harpers LLC, a front created by CSC Entity Services. CSC is a legitimate business that Amazon hired for these exact purposes. The filings were reportedly for a large screened, tablet device and quite possible for the next Kindle Fire 2. Until we know exactly what Amazon's got planned for the first Thursday in September, check out TechRadar's Kindle Fire 2 rumors and news round up.